Not even the might of Paula Deen could save our most beloved and confusing of seat back pocket catalogs. SkyMall is flying off into the animatronic lawn gnome-littered Elysian fields of the defunct catalog afterlife. 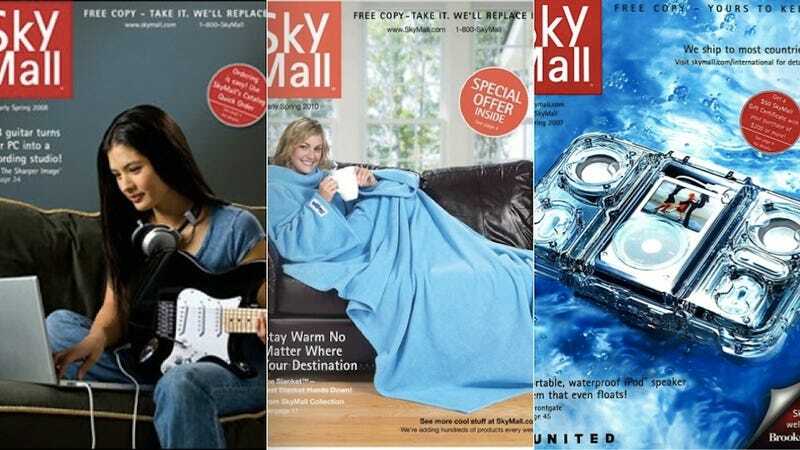 SkyMall filed for bankruptcy today, according to BuzzFeed, because it simply couldn't keep up with the rapidly changing retail environment. In memoriam, here we present a Jezebel classic, that one time Dodai Stewart dug up a collection of SkyMall products that could theoretically be used to kill somebody. Enjoy, if you can stop crying for long enough.